At first glance, Yugasan Rendaiji doesn’t seem very different to the thousands of other Buddhist temples scattered across the country. It’s a place where members of the local community go at prescribed times of the year to pray, receive blessings and attend festivals. For tourists — the smattering who make it to the Okayama countryside, that is — it’s a picturesque place to drop by and snap a few photos. But beneath the temple’s deceivingly ordinary exterior, a quiet revolution is brewing within the halls of Shingon, one of Japan’s most secretive and least understood Buddhist sects. It comes in the form of the Hoodie Monks, a one-of-a-kind movement that seems to naturally marry two cultures that might at first seem like unlikely partners: Buddhism and hip-hop. The movement is the brainchild of Gomyo, or Kevin Seperic, an American priest who works at the temple. He says the group’s name originated from the nickname he was given by a graffiti-artist friend who noticed that he often wore a hooded sweater under his samue, or monk’s work clothes, during the winter months. Gomyo, 45, who moved to Japan from his native Michigan in 1994, says the idea of using hip-hop to express Buddhist thought and teaching came to him after hearing the Beastie Boys song “Bodhisattva Vow” back in the ’90s. “After hearing that song, I thought, ‘I should write lyrics like that!’ ” he says. 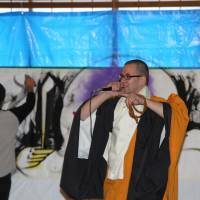 Gomyo first started recording hip-hop in 1990, but after coming to Japan he began to develop a strong interest in Buddhism, which ultimately led to him studying to become a Shingon priest. In 2000, Gomyo began his formal training and was ordained as a novice, or lay priest, at a ceremony at Zentsuji Temple in Shikoku, the birthplace of Kukai, aka Kobo Daishi, the founder of Shingon and one of the most well-known and revered figures in Japanese Buddhism. 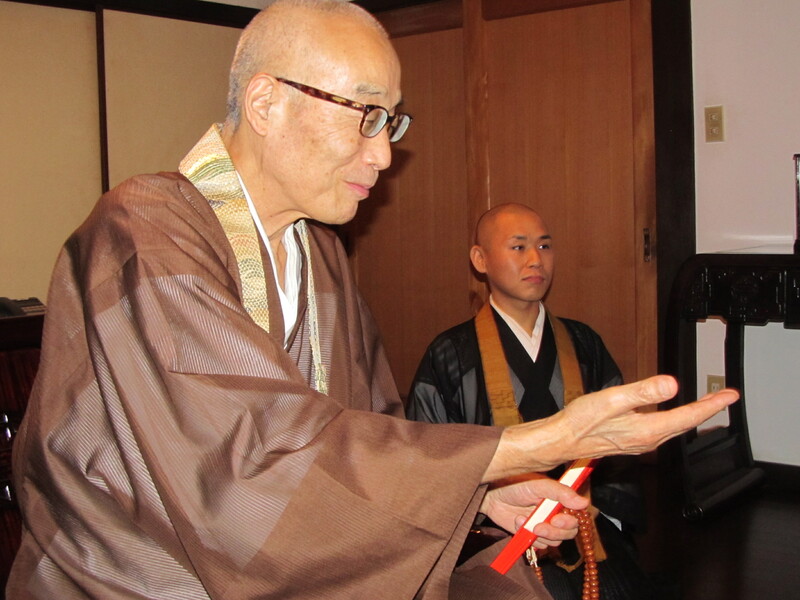 After studying at Muryokoin on Mount Koya in 2002 and 2003, Gomyo received the dharma transmission in 2004 at Ninnaji in Kyoto and became an ajari, or fully ordained Shingon priest. In Buddhism, dharma transmission is the process that ensures the continuation of a spiritual bloodline, namely the unbroken lineage between teacher and disciple that stretches back to the Buddha himself. Even after becoming a priest, hip-hop continued to play an important part in Gomyo’s life and he continued to record and perform, but increasingly he began to see links to Buddhism and a role that hip-hop could play in transmitting the dharma. Hip-hop, he explains, is commonly divided into four elements or roles: the MC or rapper, the DJ or beat master, the graffiti artist and the B-boy or dancer. 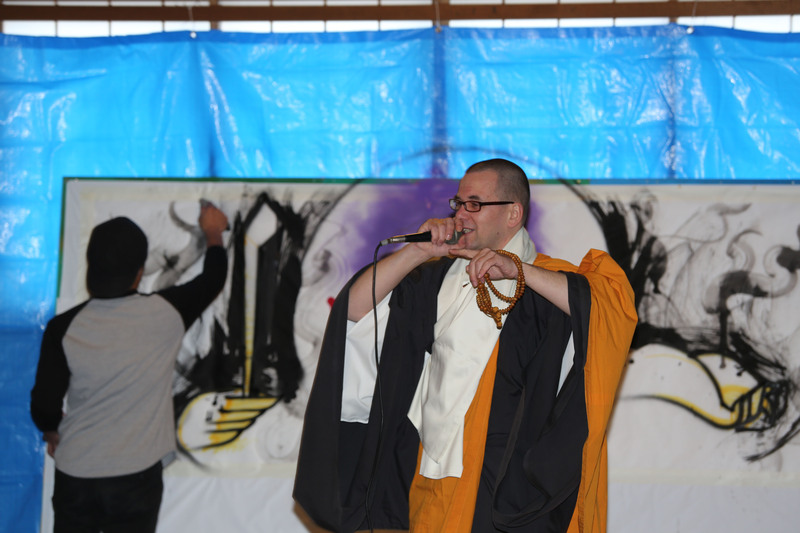 Gomyo adds that the visual element, which manifests itself in hip-hop culture through graffiti or street art, connects particularly well with the school of Buddhism he belongs to. Gomyo says that the B-boy dancer element, or break dancing, could be matched with types of Buddhist dance, such as Bon Odori, but he acknowledges that this is an element the Hoodie Monks haven’t explored yet. He adds that movement and action is also represented in Shingon by mudras, or sacred hand gestures. Gomyo currently fronts the hip-hop group FBSD, which stands for “Free Buddha, Spit Dharma.” In an age of declining interest in Buddhism in Japan, especially among younger generations, Gomyo believes it is becoming increasingly important for the dharma to be spread in a way that is meaningful. Seventy-year-old Zoko Saeki has been abbot of Rendaiji for 33 years. 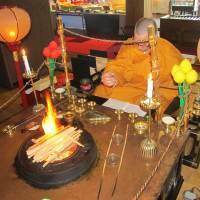 He says he wants to “keep the teachings going and alive,” but is concerned about the declining interest in Buddhism, especially among the young. Saeki, the 72nd abbot in an unbroken line of succession, attributes this decline in part to the breakdown of the traditional extended family unit in Japanese culture and the isolation of family members from each other. Saeki adds that communities in the past were also more tightly knit, so even if someone lived alone, they would be more in touch with life through having meaningful ties with neighbors and their families. Saeki believes that in this kind of social environment it is necessary to build “gateways to Buddhism” that make the religion more accessible, relevant and interesting for young people, and he sees Hoodie Monks as one such gateway. 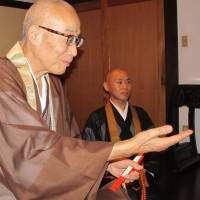 Saeki also wants to spread the teachings outside of Japan and tap into the growing interest in Buddhism internationally. “Buddhism is not just for Japanese people, and I want to share it with the whole world,” he says. 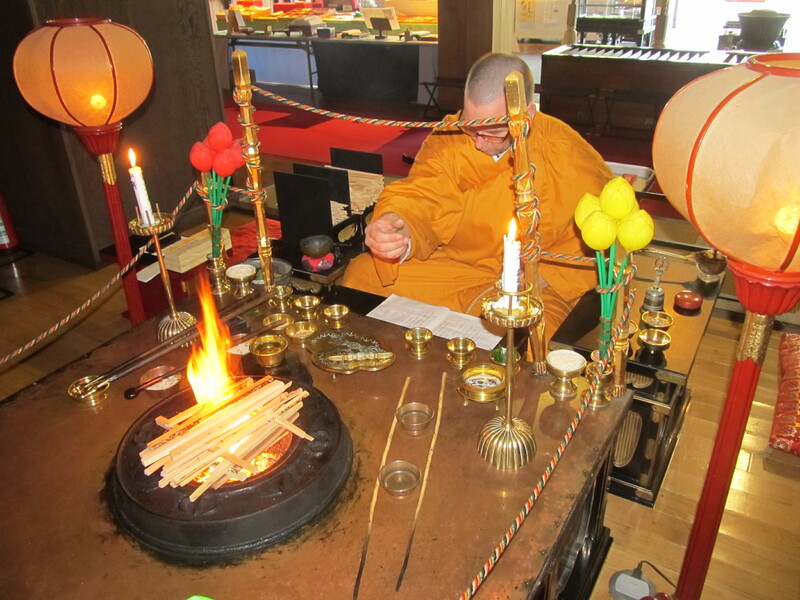 This vision of an international sangha, or Buddhist community, is already starting to be realized at Rendaiji Temple, and a training center for the Hoodie Monks has been established on the temple grounds, with Gomyo acting as training coordinator. To date, seven foreign novices affiliated with Hoodie Monks have been ordained at Rendaiji and four more are scheduled to take place next year. There are also three Zen monks and about 20 lay practitioners from around the world who are now involved in the movement. The temple also has links to Gloucester Buddhist Centre in the U.K., which is now a Hoodie Monks Dharma Centre, and the center’s founders, Dutch couple Yozen and Kakua, are currently living at Rendaiji and training to become ajari. After becoming fully ordained priests, they plan to return to the U.K. and establish the first traditional Shingon temple in that country.